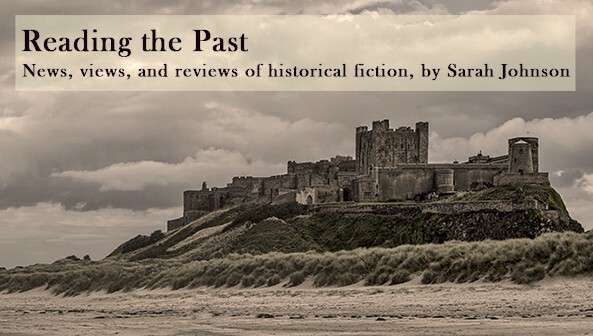 I always get new insights into history and historical fiction writing from authors' guest posts, and the following essay by Alan Bardos is no exception. He discusses the lesser-known background to a pivotal historical event and how he worked fictional characters into the story. Thanks to Alan for contributing his essay and photos, and I hope you'll enjoy reading along. The assassination of Archduke Franz Ferdinand was one of history’s greatest turning points, but it happened by accident. Everyone knows the story ends with the death of the Archduke and his wife, Sophie, putting into play the diplomatic crises that lead to the First World War. It is perhaps less well known that the events leading up to the assassination were a terrible comedy of errors that culminated in a world-changing tragedy. It was this combination of tragedy and comedy that first drew me to the story and, I hope will draw people to a novel about the assassination, despite knowing the ending! The assassination of Franz Ferdinand happened as a result of a whole series of mistakes and missed opportunities right from the beginning. 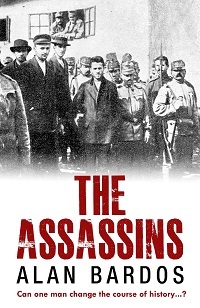 When the assassins travelled from Belgrade to Sarajevo, Nedeljko Cabrinovic, the biggest liability of the conspirators, met a police detective from Sarajevo on the train in Bosnia. The detective was a friend of his father's, who was a businessman and pillar of the community, which had created a lot of conflict with his radical son. The policeman had recently seen Nedeljko’s father and struck up a conversation with Nedeljko to catch him up on family news. This made Gavrilo Princip, who was traveling separately but by accident sitting in the same train carriage, nervous. Cabrinovic’s easygoing nature had already endangered the other assassins during the journey. The policeman noticed and asked Cabrinovic who Gavrilo was and why he was staring at them, but his suspicions were not raised any further. A simple request to see Gavrilo Princip’s papers would have revealed that he was travelling illegally and put pay to the whole plot before the assassins reached Sarajevo. 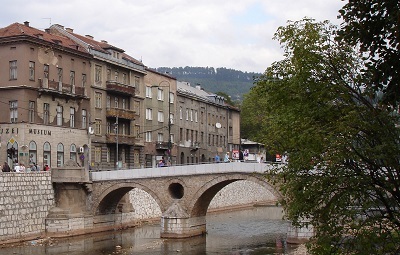 Lateiner Bridge, Appel Quay (now called Obala Kulina Bana). turning into Franz Joseph Street (now called Zelenih Beretki). This reflects the Austro-Hungarian Government’s attitude to the threat placed by the nationalist movements in their Balkan provinces. No attempt was made to counter them because the security services did not believe they existed, let alone posed a threat. 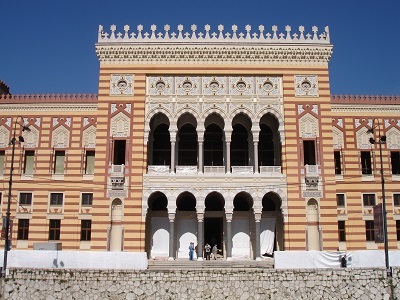 The repeated warnings of a possible assassination were ignored by the local military governor, General Potiorek, the Archduke himself and the Austro-Hungarian Government. The idea that half-starved schoolboys could be any kind of a threat was too ridiculous to contemplate. This gave me the opportunity to place my fictional characters at the heart of the story. Specifically the central relationship between my feckless lead character, Johnny Swift, a disgraced British diplomat; and Lazlo Breitner, a methodical Hungarian official, in a marriage of opposites that drives the narrative forward. Breitner is well aware of the threat from the assassins and does everything he can to stop them, right up to confronting his nemesis, Franz Ferdinand, to beg him not to go to Sarajevo; but he is not believed. here for their fateful journey on 28th June 1914. To try and get evidence of the plot Breitner coerces Johnny into joining the conspirators, embedding him in their boardinghouse. Johnny who has been sent to Bosnia on a fool’s errand to get himself killed after cuckolding his superior, is eventually glad of the opportunity to redeem himself. He manages to ingratiate himself with the assassins and joins in their reckless behaviour that should have got them caught. He discovers their plans and motivations; but Johnny’s decadent nature ensures that he fails to make use of the information. Realising the enormity of his error, Johnny foils the first assassination attempt that is made. and hit Sophie in the abdomen. Museum of Military History in Vienna. He replaces the Archduke’s chauffeur in an effort to claim the much deserved credit. 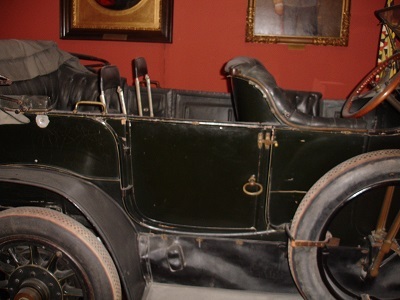 Then, as happened on the 28th June 1914, takes a wrong turn, stopping the Archduke’s car in front of Gavrilo Princip when General Potiorek notices the mistake. Princip didn’t even look when he fired two shots that changed the world and propels Johnny on a journey through the major events of the twentieth century. This was the last in a whole series of errors and bad luck that led to the assassination. They say that the side that makes the least amount of mistakes wins a war. It also seems to be the case for the side who starts them. 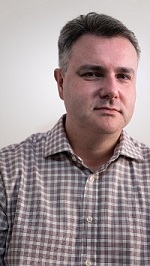 I'm a graduate of the MA in TV Script Writing at De Montfort University, and I also have a degree in Politics and History from Brunel University. Writing historical fiction combines the great loves of my life.